Dr. Raymond E Turnure III, MD is a Doctor primarily located in Rocklin, CA. He has 26 years of experience. His specialties include Family Medicine. He speaks English. The overall average patient rating of Dr. Raymond E Turnure III is Great. Dr. Raymond E Turnure III has been rated by 6 patients. From those 6 patients 1 of those left a comment along with their rating. The overall rating for Dr. Raymond E Turnure III is 4.3 of 5.0 stars. Dr. Turnure is an amazing doctor! He and his staff are very nice and know how to keep it professional. Dr. Turnure is very easy to talk to or cry to about your problems you feel completely comfortable and know that he is listening. There is no need to be shy. He and his staff are well educated and are good what they do! I never want to look for another doctor, I think it would be close to impossible to find another office like this. Turnure Medical Group is an amazing office and if you live in the area/he is in network with your insurance I highly recommend going to his office!! Thank you for your nice comments. It always feels good to be appreciated. I love what I do! 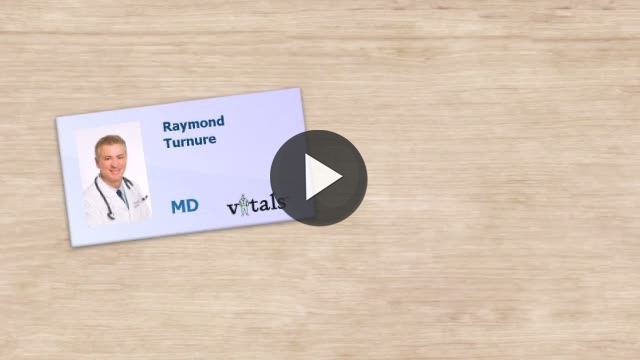 Take a minute to learn about Dr. Raymond E Turnure III, MD - Family Medicine in Rocklin, CA, in this video. Dr. Raymond E Turnure III is similar to the following 4 Doctors near Rocklin, CA. Have you had a recent visit with Dr. Raymond E Turnure III? Select a star to let us know how it was.